How much to open an account? 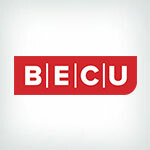 BECU Started in 1935 as Boeing Employee Credit Union, used to only be open to Boeing Employees and their family members, but have opened their enrollment to a include a wide variety of communities in Washington state. BECU is a cooperative society organized under Washington state law as a nonprofit corporation. BECU promotes thrift among its members and creates a source of credit for them at fair and reasonable rates of interest. BECU is dedicated to "people helping people" and will strive to serve its members by providing superior financial products and services. As a member-owned, not-for-profit financial cooperative with more than 925,000 members, BECU is guided by the credit union philosophy of "people helping people." Unlike many financial institutions, they do not issue stock or pay earnings dividends to outside stockholders. Instead, earnings are returned to members in the form of great rates and lower fees. They are less likely to charge service fees than for-profit banks, and if there is a fee it is usually lower than fees from a regular bank. BECU takes pride in their customer service and helping their customers achieve their financial goals through five principals that can be found on their website. Service to members: BECU offers services designed to improve the economic and social well-being of all members, and return financial value to them as part of their participation in the member-owned financial cooperative. Their objective is to ensure that all BECU members always experience the best value and service with complete trust. Member education: BECU is committed to strengthening consumer financial education and literacy. In addition, we are committed to educating members and the public alike about credit union uniqueness, philosophy, and values. Governance and representation: BECU will endeavor to preserve credit union democratic principles, including demographic representation and participation in credit union activities. Diversity: BECU recognizes the value to demographic diversity, in staff as well as in their members. They strive to bring people of diverse backgrounds and experiences into leadership and other roles at the credit union. Cooperative activities: BECU works to build and strengthen the credit union movement by providing financial and in-kind resources to others within the credit union community, and by actively advocating the credit union difference at all levels of government, and in other appropriate public forums. They have made it even easier to become a member than in previous years, and offer various accounts for all of their diverse customers. They have expanded and now access to local branches throughout the greater Seattle area and other areas is more convenient including access to thousands of no-surcharge ATMs. They also offer community education classes for budgeting, saving, protecting yourself against identity theft, and a class aimed at younger children and teens on the importance of being financially educated and how to control your money. You can add Your BECU Credit or Debit Card to Apple Pay, and with your checking account, you'll also get a free Gold Debit MasterCard® with MasterCard Zero Liability Protection. They offer another program that is easy to apply for, so you can earn better rates with Member Advantage. You'll earn premium rates on the first $500 you deposit into both your checking and savings when you enroll in Member Advantage. It helps you earn higher interest-plus you'll get better earnings on your CDs, IRAs, and higher balance Money Market accounts. The Member Advantage is free and often yields the higher return rates. Among reviewing their apps, they did not receive very good ratings. They do not offer many options for credit cards for just being a basic member; even their credit card options or line of credit for business members is limited only offering three types of cards and only one with rewards attached to it. This is a credit union that is only local to the Northwest parts of Washington state; Seattle, Tacoma, and Bellevue. Even though Boeing is a massive company and they have expanded their membership to almost everyone, they should have more locations dotted around Washington, even into other states considering Boeing has since relocated their headquarters out of Washington State. All in all, overlooking the very minor bad points of BECU, they have the BEST APY rates for any of their financial options and what more could you ask for than a larger return on your investments and accounts? They have access to thousands of ATMS even if you are out of state. Lastly, once you are a member, you are always a member even if you leave the area. BECU is a highly recommended credit union. I have been a member of BECU for over 15 years, and they have worked with me through every stage of life, I would recommend them! My experience with the company has been great. I feel like they are very customer centered. They give great personalized service. I have been a member since 2004.